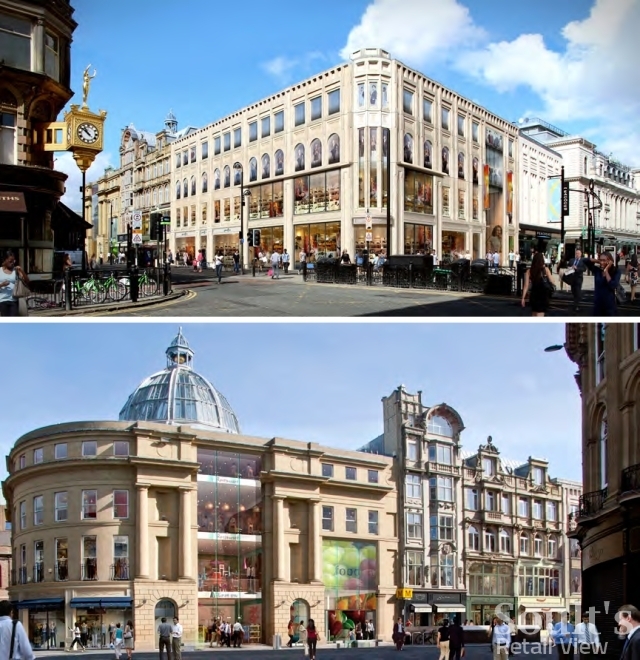 Back at the start of the year, I promised that 2012 was going to be an eventful year for Newcastle city centre in terms of interesting retail developments and new store openings. As we approach Easter, it’s probably time for an update on how things are progressing, both in Newcastle and, indeed, over the water in Gateshead. 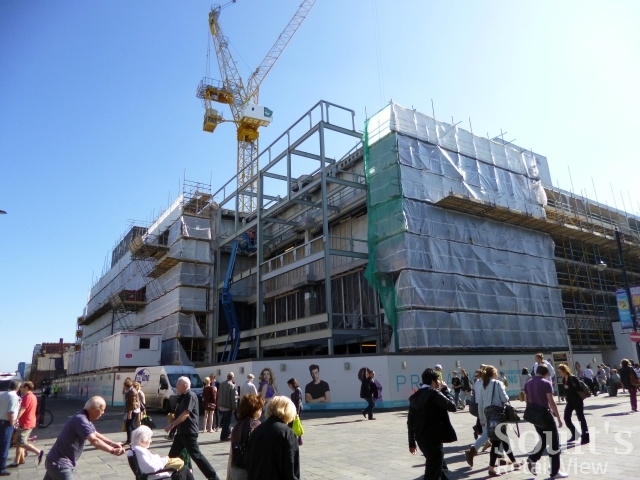 In Newcastle’s prime retail thoroughfare of Northumberland Street, the ‘nibbled’ corner of the new Primark store (above) has gained some new steelwork since my visit a few weeks ago, ready for the creation of its glazed staircase corner. 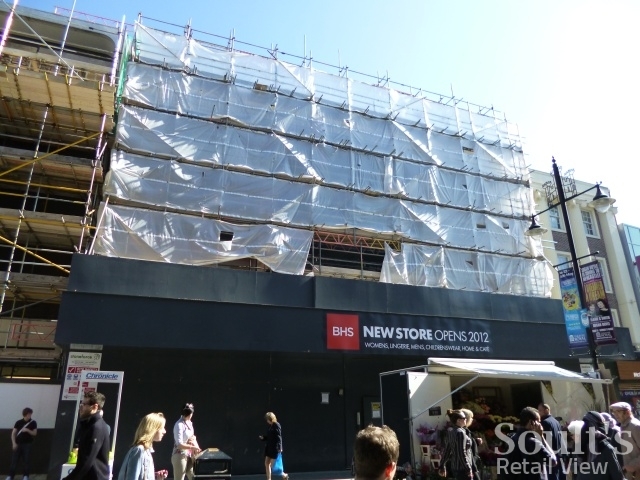 While the part of the property that used to house BHS has been under wraps for some time, scaffolding now also covers the existing Primark store (below) ahead of the entire block’s refronting. 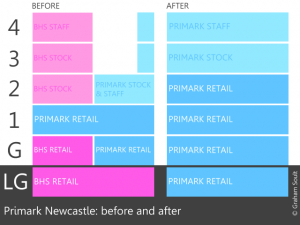 If The Journal is to be believed, everything should be finished on the new Primark store by October – in good time for the all-important pre-Christmas trading period. Below, if you missed it last time, my diagram gives a sense of quite how huge the new store will be, with four full-size retail floors compared to the one-and-a-half that it has now. 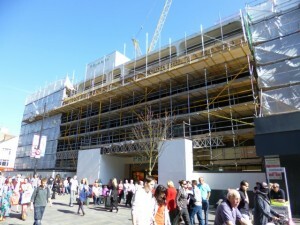 Next door, we have just two weeks to wait until BHS (below) opens its doors on 19 April. 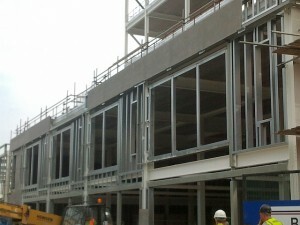 The store was still encased in scaffolding and wrap at the weekend, but it was just possible to make out some of the new glass façade underneath. 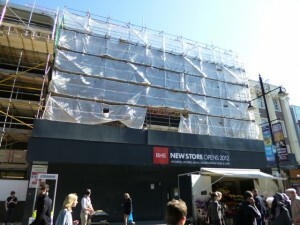 It must surely only be a matter of days before we get to see the new frontage in all its glory. 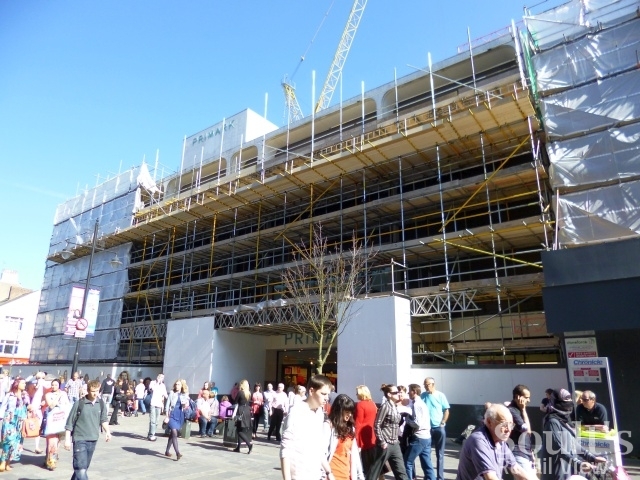 While the top end of Northumberland Street is gearing up for its exciting new arrivals, Monument Mall at the lower end is starting to resemble the Mary Celeste. Only TK Maxx and a handful of smaller stores now remain in place, with all the mall entrances featuring ‘TK Maxx still open’ posters to assure shoppers that it hasn’t gone yet. 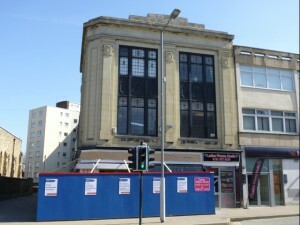 Following the closure of Evans and Wallis in January, The Body Shop and Castle Galleries have both moved out of their Blackett Street-facing units (below) in the last couple of weeks, while the upper levels, which used to house Sports Direct and the Food Court, are also now completely vacated. Anyone who doesn’t know what’s happening might be alarmed at the sight of all the departures, but, of course, it’s all part of the necessary reshuffling to enable owner Hammerson’s impressive £15m redevelopment of the property, which City Council planners approved at the end of last year. Hammerson reported in December that “pre-letting is progressing well and over 50% of the floor space will be let or in solicitors hands before construction commences”, though there have been no letting announcements as yet. 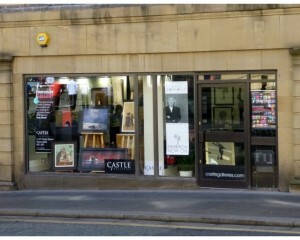 It’s not entirely clear when work will commence, either, but the fact that Castle Galleries has relocated to temporary premises in Market Street (the old Sharps, Moben & Dolphin unit) ahead of a permanent move to Grey Street later this month suggests that the start may be imminent. 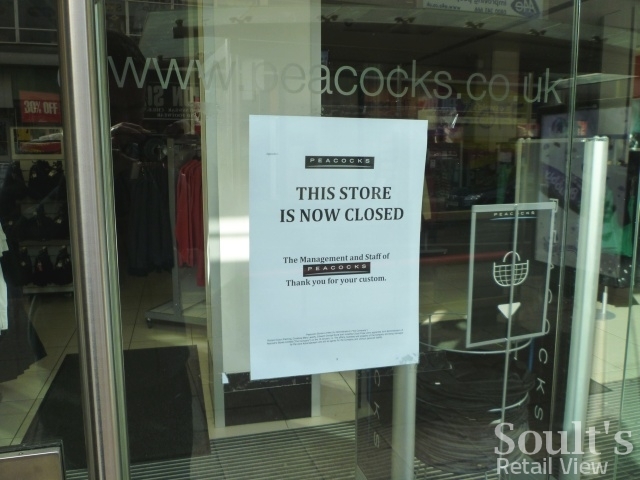 One retailer that will presumably need to relocate before long is indeed TK Maxx, though I’m not aware of any specific information regarding its intentions. 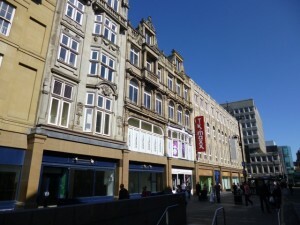 Within days of Peacocks closing its three-level Newcastle store (below), I understand that there was interest in the site from another (unnamed) fashion retailer that’s already represented in the city centre. 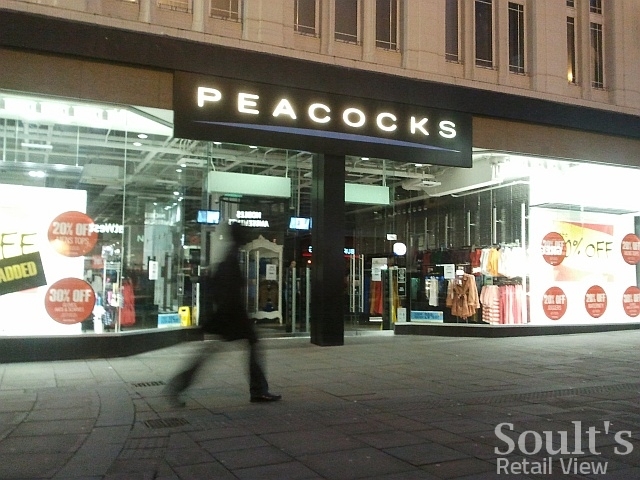 Given that the property is owned by Hammerson without being part of the Monument Mall redevelopment, is immediately available, and is next to TK Maxx’s existing store, it would be a logical move if TK Maxx were the retailer in question. 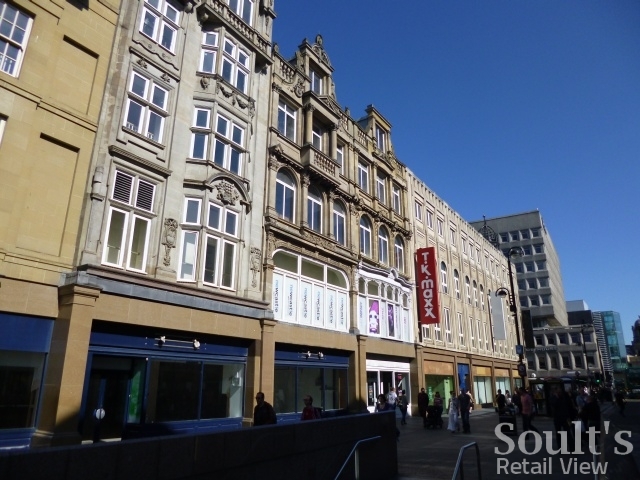 Indeed, other than the two-storey former New Look unit in Eldon Square’s High Friars, it’s hard to think of any other available premises that would be remotely suitable. 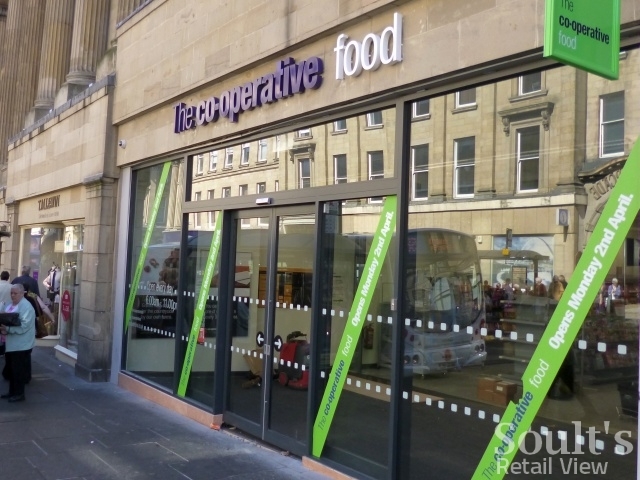 Just a few doors up from the temporary Castle Galleries in Market Street, The Co-operative Food has opened its new store in the former Envy unit this week, replacing its now-closed food hall in Newgate Street. The store was being stocked, ahead of opening, when I snapped it a week ago (below). 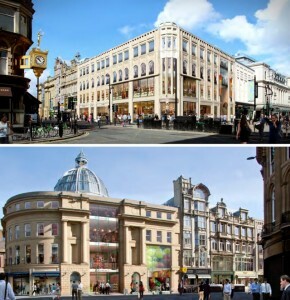 As I blogged in December, Newcastle city centre has seen a proliferation of new supermarkets in the last few years, reflecting the big chains’ moves into convenience stores and a return to high-street locations. 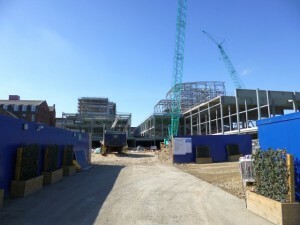 Recent arrivals (and I may have missed some) include Waitrose, Londis, two Sainsbury’s and three Tescos, with a fourth on the way if recently announced plans for a Tesco Express in Grainger Street come to fruition. 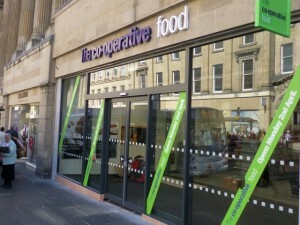 Having ‘ceased trading’ at its historic Newgate Street site in December, I understand that the Co-op will, in fact, be reopening a smaller store there once the Travelodge-anchored redevelopment of the building is complete. I’m not clear, however, whether this means that the new Market Street store is just a temporary measure or if it will operate alongside the other store in the longer term. One place where Tesco definitely will be opening before long is Gateshead town centre, where the Trinity Square scheme is progressing rapidly. 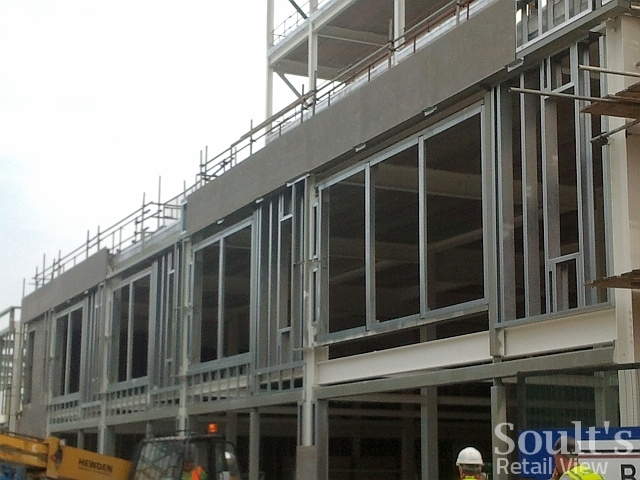 Much of the structure – including steelwork, concrete floors and staircases – seems to be in place, while the smaller shop units along the new ‘street’ linking West Street and High Street have started to gain cladding and are taking shape (above). One part of the site that’s yet to be developed is the existing Tesco store, which is still currently trading. 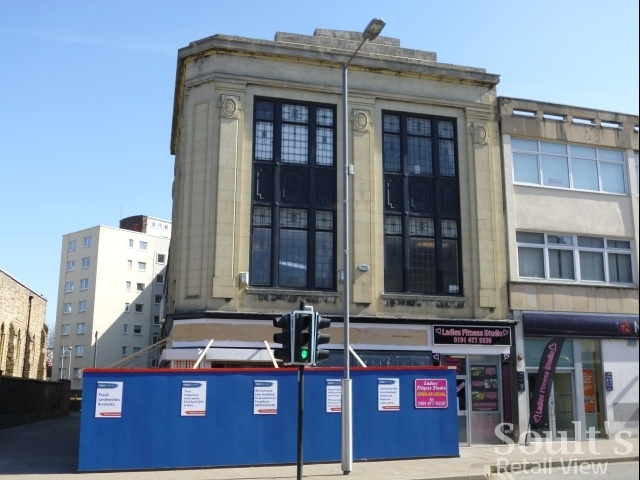 However, work on Gateshead’s temporary Tesco Express – in the former Kwik Save and Doggarts premises on the High Street (above) – has been underway for a few weeks, ahead of its opening at 8am on Monday 23 April. 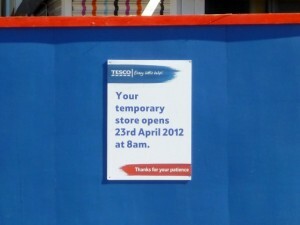 The existing store, meanwhile, will close for good at 4pm the day before, paving the way for its demolition and replacement with a much larger Tesco Extra. No-one would suggest that Gateshead is the world’s most glamorous town centre, and the fact that much of it is currently a building site barely helps. Nevertheless, I’m always surprised at quite how bustling it usually is, with well-known discount chains such as Wilkinson, Iceland, Argos, Home Bargains and Poundland all seemingly striking a chord with Gateshead’s canny shoppers. 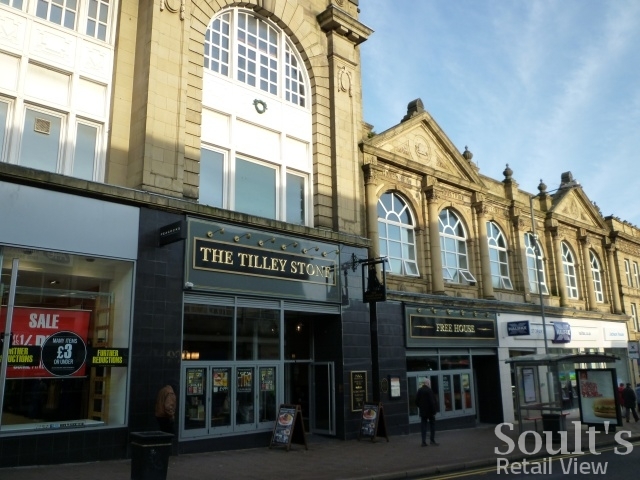 The recently opened Wetherspoon’s (below) also seems to be pulling in the punters, bringing a much-needed family-friendly pub-food offer to the centre of Gateshead. 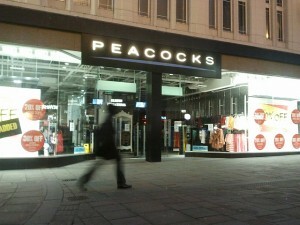 With a strong existing value proposition, and the promise of many more shops and eateries to come once Trinity Square opens, the recent closure of the town’s Peacocks store (below), right next to Wetherspoon’s, is especially disappointing. With the adjacent Bonmarche also gone, it leaves a big hole in the middle of Reef Estates’ redeveloped former Co-op department store. 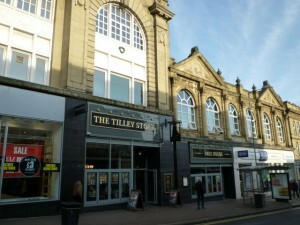 Still, with no other well-known fashion chains present in Gateshead town centre (apart from a dreary edge-of-centre Matalan clearance store), there must surely be an opportunity for one of the expanding fashion discounters – such as M&Co or Store Twenty One – to step in and fill the gap. 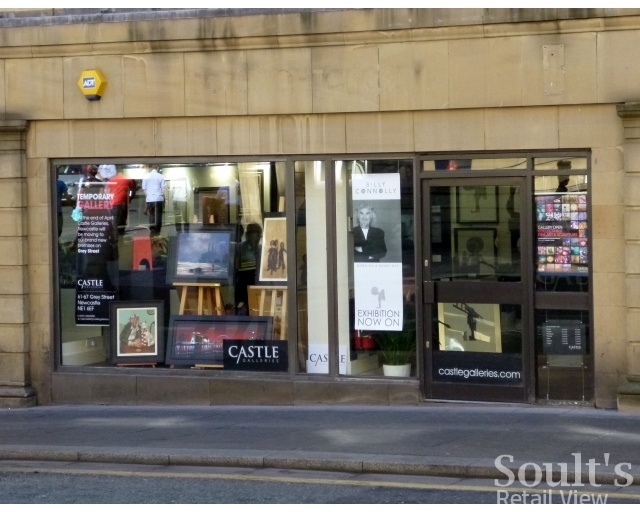 Equally, the site may appeal to one of the fast-growing discount variety stores, such as 99p Stores or Poundworld, both of which are expanding in the North East from a relatively low base. 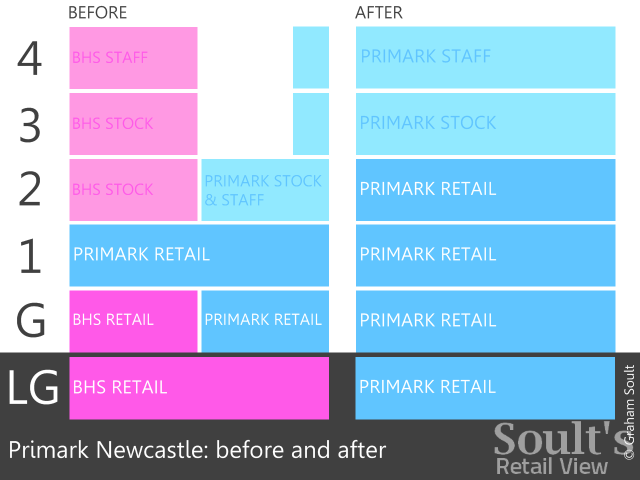 Alternatively, with scope to knock the Peacocks and Bonmarche units together into one big space, it could be that Gateshead’s claim to host “Britain’s biggest B&M Bargains” – as envisaged in my post from 1 April last year – finally becomes the stuff of reality rather than fantasy. Thanks for the update! Had no clue what was going on so it’s nice to see the redevelopment that will hopefully happen. Can only be a good thing for the city!